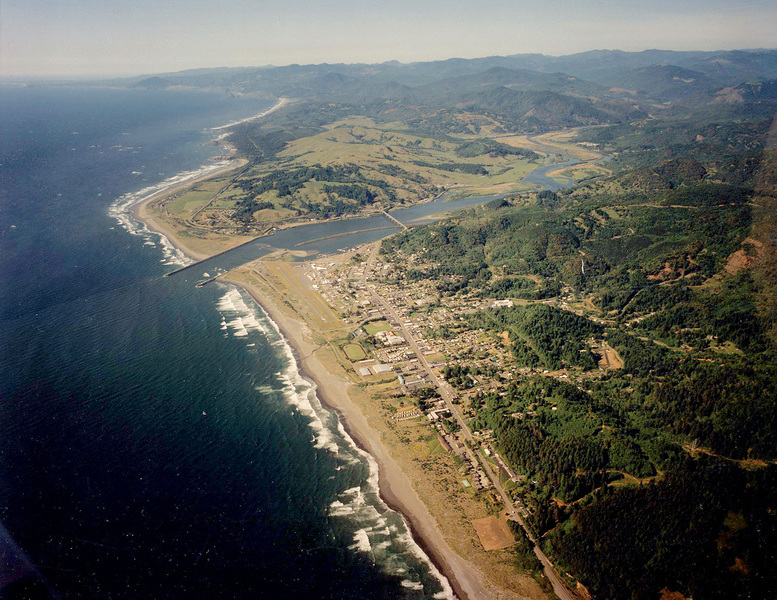 Gold Beach, the county seat of Curry County was founded in 1855. It was the last city of Oregon to incorporate in 1945. We are located on the southern Oregon coast, in the heart of America's Wild Rivers Coast, just 37 miles north of the California border. The climate is very mild, with pleasant average highs of 65 to 70 degrees in the summer and 45 to 50 degrees in the winter months. Even though Gold Beach receives an average of 70 to 80 inches of rain a year, the area also has the highest "total sun hours" on the Oregon coast. The main industries are tourism, agriculture, commercial fishing, sport fishing, lumber and wood products. Our largest employer is comprised of city, county, state and federal government. Curry General Hospital, a 24-bed facility with a certified Trauma Center and 24-hour emergency service is located in downtown Gold Beach. The hospital is served by board certified, local, family care physicians as well as specialists that schedule regular visits to the Gold Beach area. Gold Beach also has dentists, denture specialists, optometrists, chiropractors and licenses masseuses. The Port of Gold Beach has dock and moorage facilities for 151 recreational craft and 33 commercial craft (some with water and electric hook-ups), gas and diesel fuel, an enclosed compound and bay storage rentals and free launch service. Our Gold Beach Municipal Airport can accommodate aircraft up to and including Lear Jets, Citations and King Airs. The airport is located within walking distance of shopping, lodging, dining and the harbor. Oregonians take pride in their excellent school system and Gold Beach is no exception. We offer excellent instruction and facilities for K-12, including additional special education programs for handicapped students. We are proud of the accomplishments our students consistently have both academically and in sports. For more information about home loans in the GoldBeach area, contact the following businesses... listed for your convenience in alphabetical order.